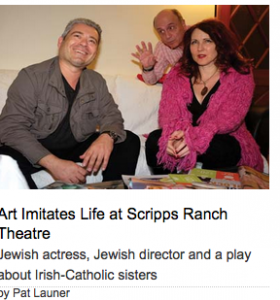 Today I opened in the play Skin Deep at Scripps Ranch Theatre in San Diego. The show plays Fridays, Saturdays and Sundays thru May 1st. Recently I was interviewed by Pat Launer for the San Diego Jewish Journal. I’m kind of NAKED and RAW about how the character I am playing and i am alike.